You can earn 11 yards with this purchase! 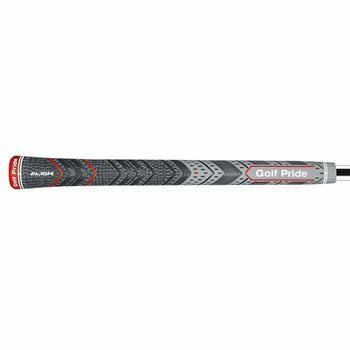 The Golf Pride MCC Plus4 ALIGN grip has a Tour-inspired larger lower hand design that simulates the feel of 4 extra layers of tape for lighter grip pressure and more power. Featuring ALIGN Technology, the grip provides a raised red ridge that allows for consistent hand placement and heightened clubface awareness throughout the swing for a square clubface at address and impact. The Brushed Cotton Cord fuses moisture-wicking cotton fibers into a new soft rubber material for added stability in any weather condition.